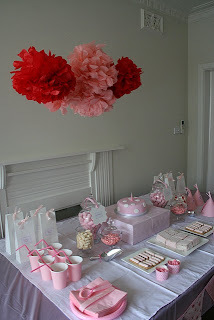 A pinkalicious party for Zoe's first birthday from little sooti. Really this is a beautiful idea of decorating the party with the pink colour. As pink colour is favourite of most of the girls, so this party theme can be best for a girl birthday party. Thanks for sharing this wonderful post.